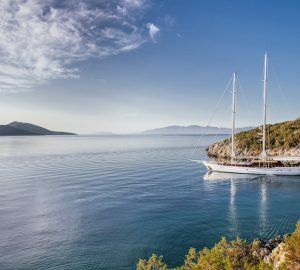 Sailing gulet COSMOS was delivered in 1979 by the Greek shipyard Mavrikos Bros. and refitted in 2016, the yacht measures 24.8m (81’4’’) overall. 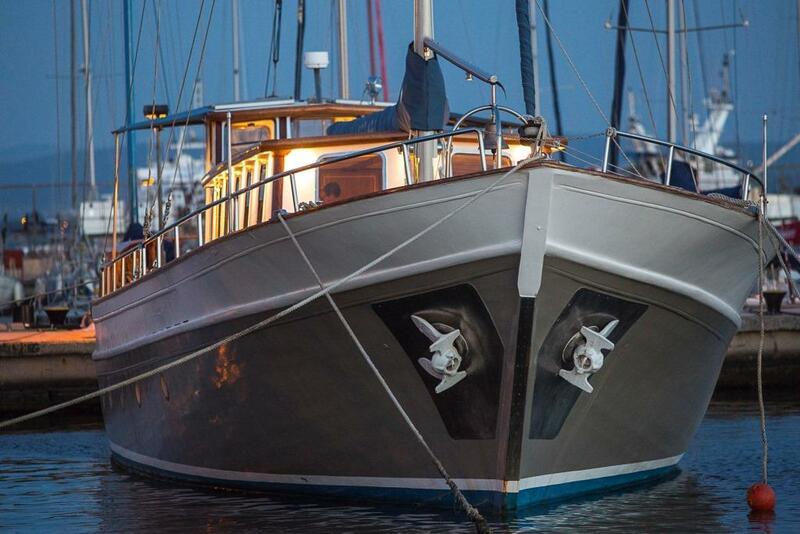 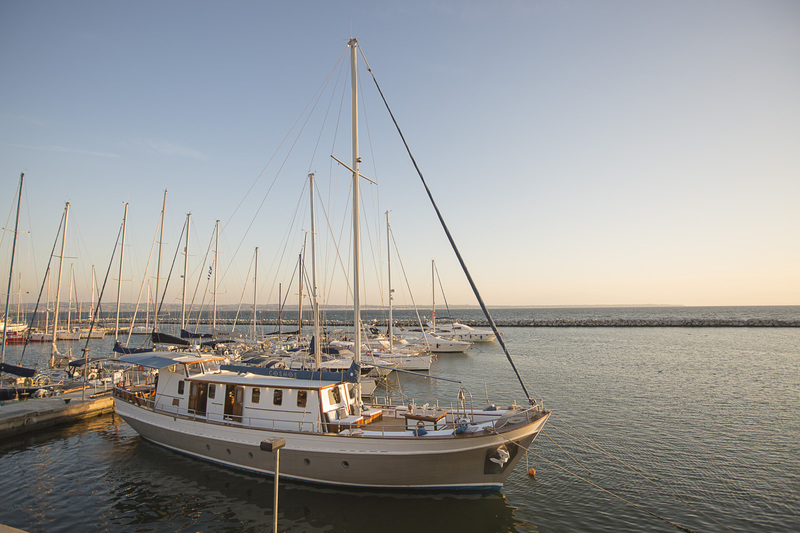 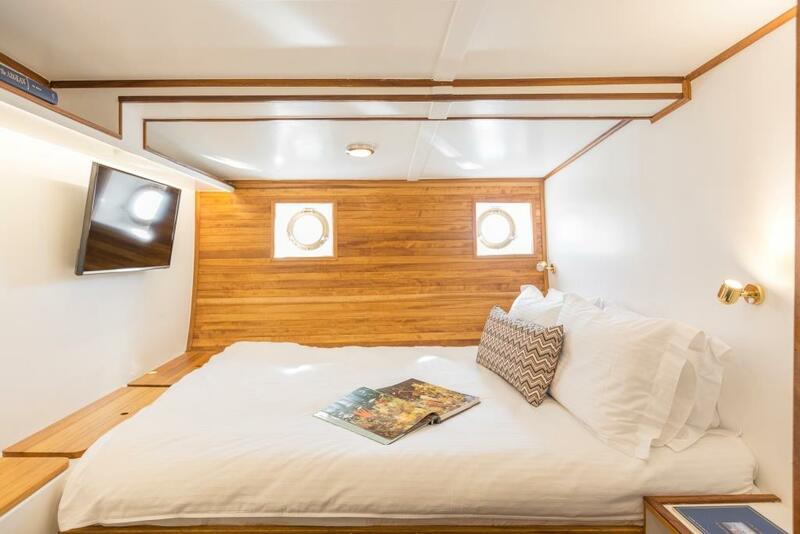 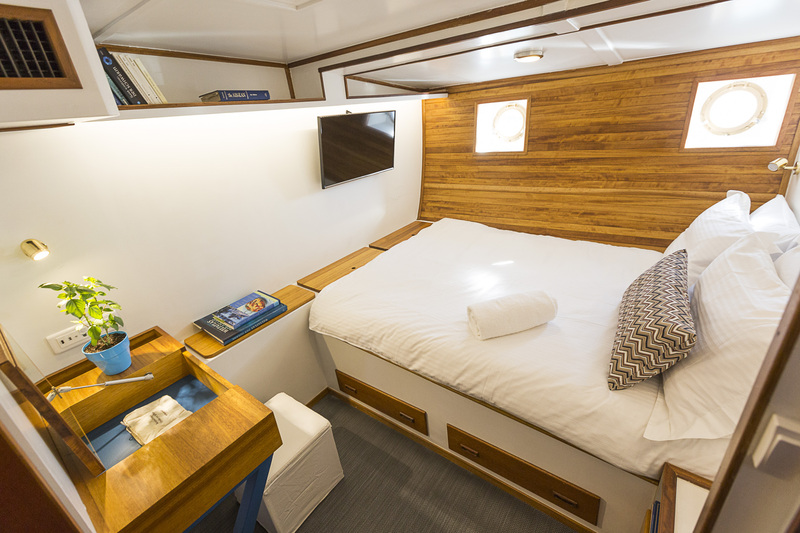 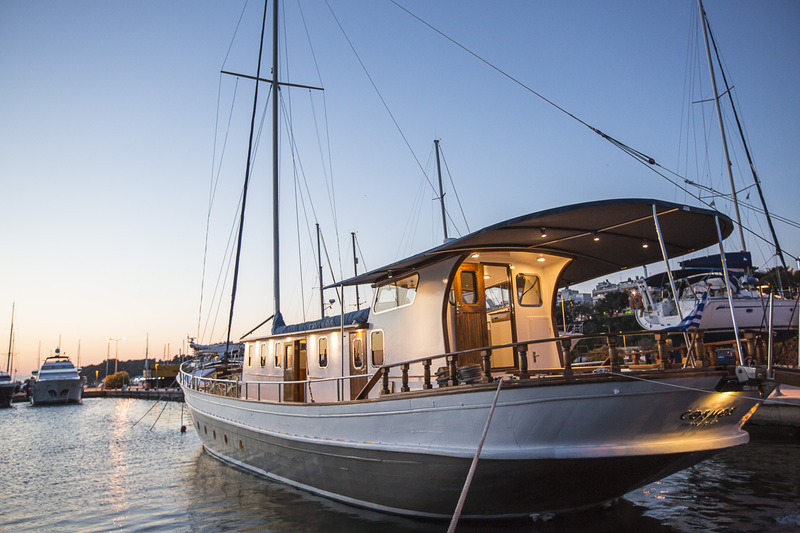 Accommodation is provided in 4 cabins, for up to 9 charter guests. 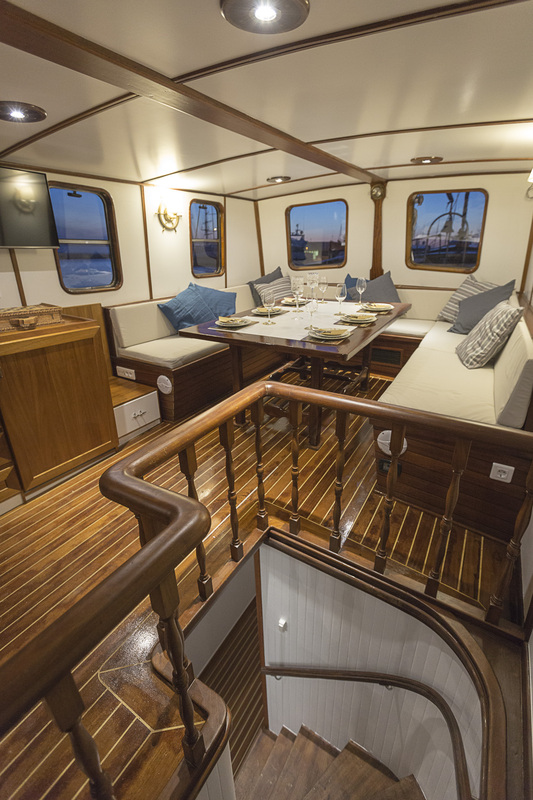 Her interior décor is light and airy, offering plenty of relaxing areas to enjoy. 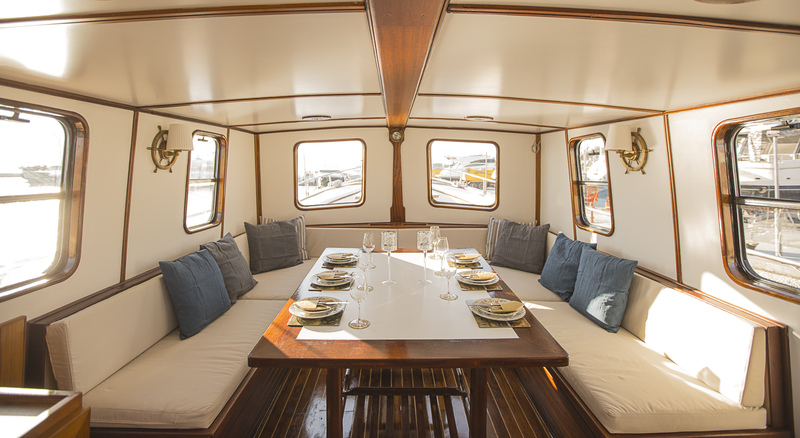 The open plan main salon is in a raised position at deck level, allowing for wonderful sea views. 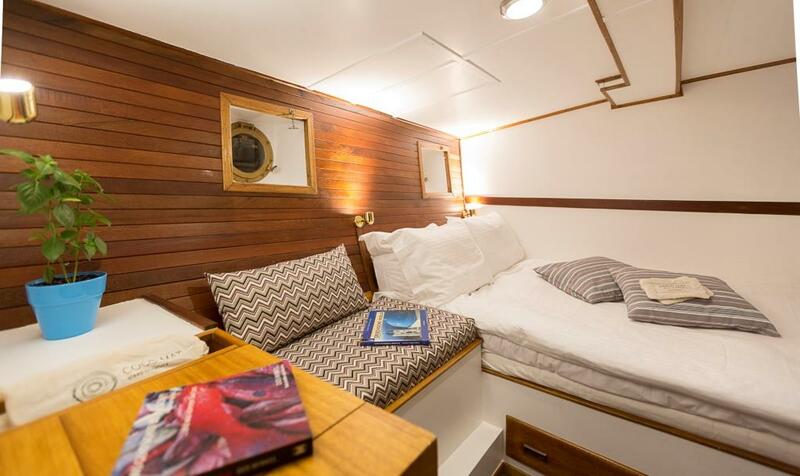 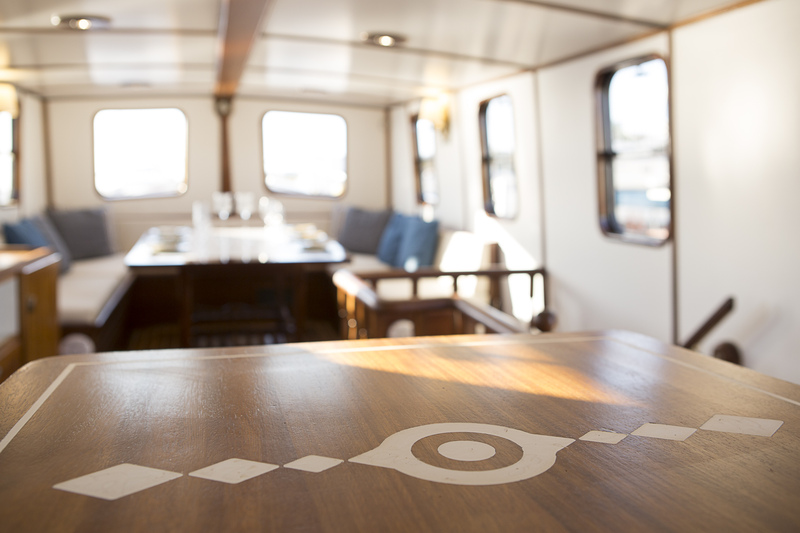 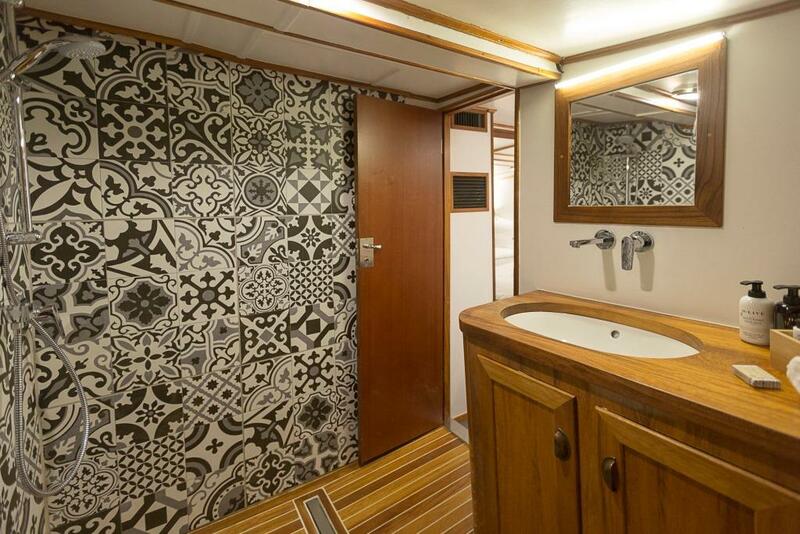 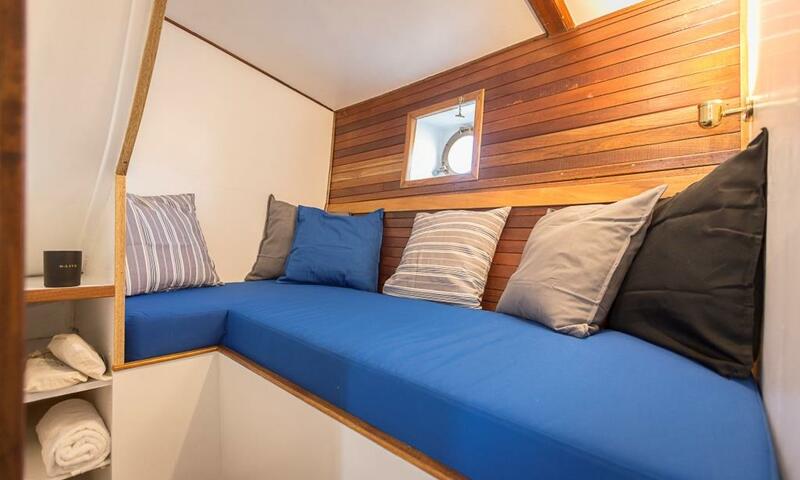 On the lower deck, there are 4 guest cabins, each with private en-suites. 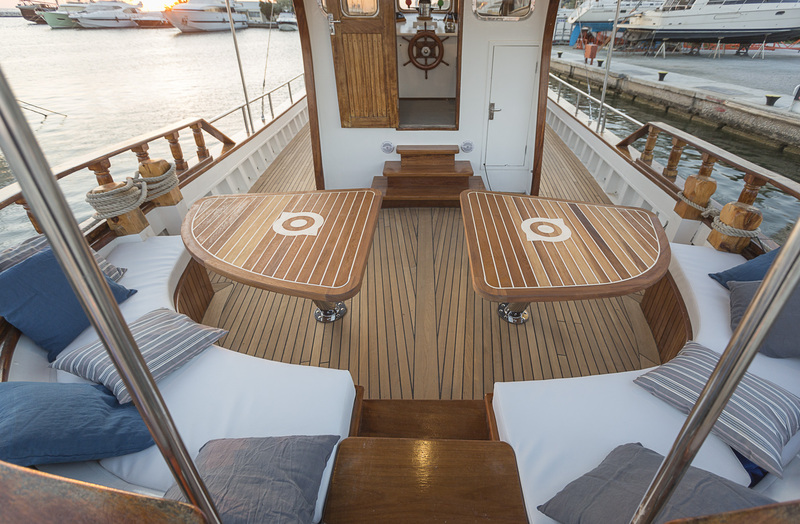 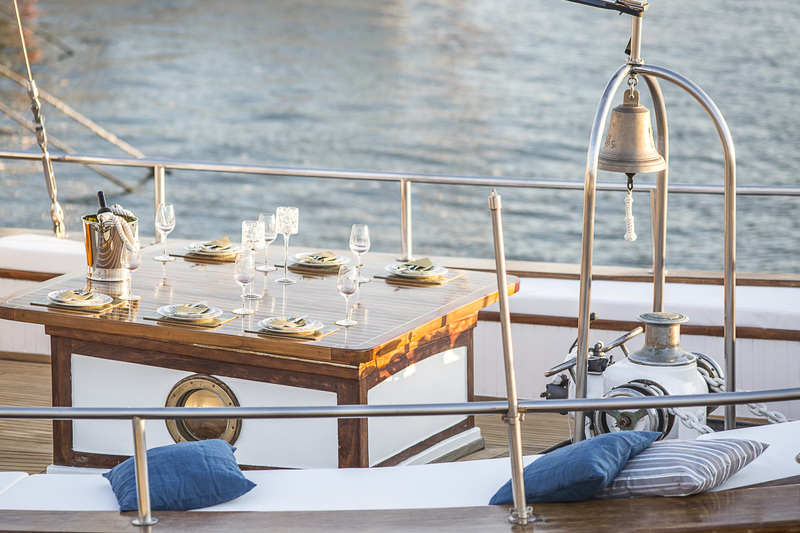 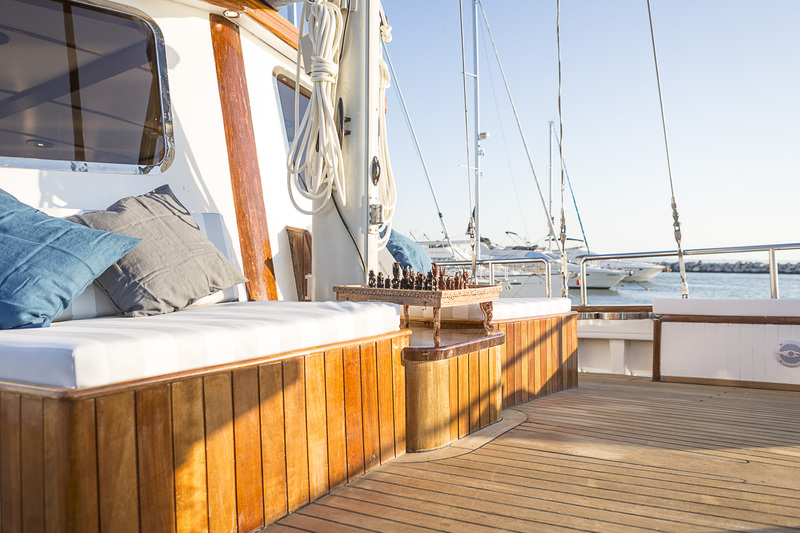 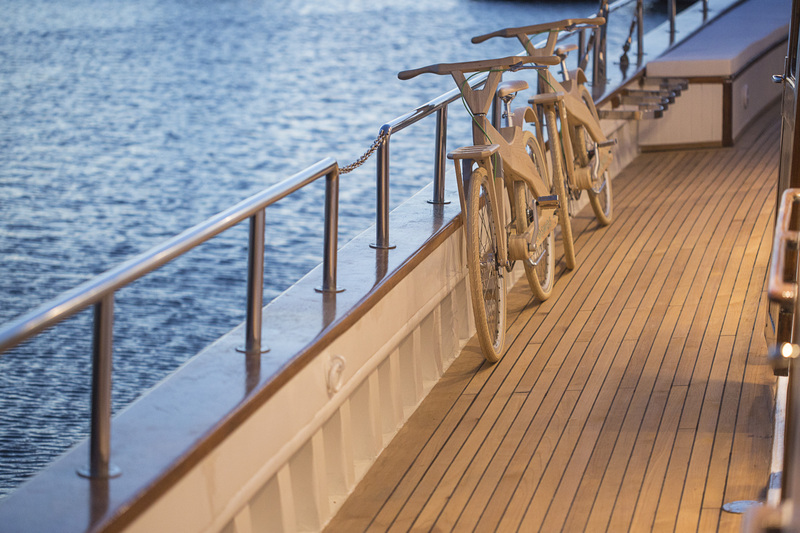 M/S COSMOS decks are laid to teak, offering alfresco dining and seating aft, as well as further seating and sunning on the foredeck. 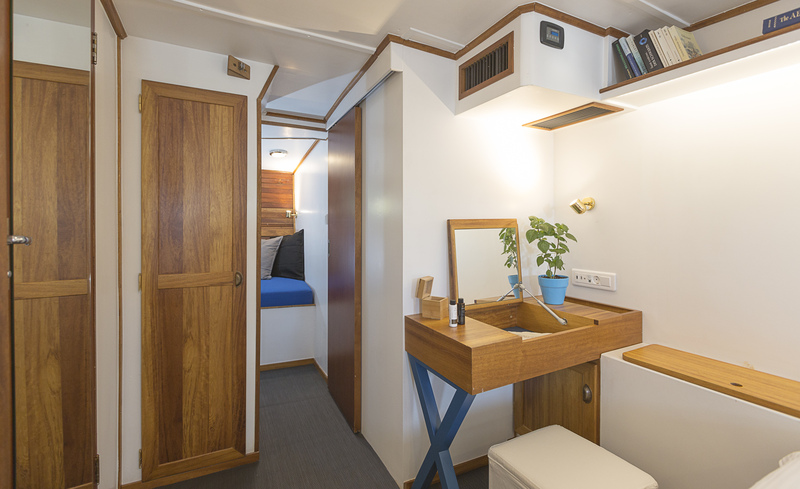 Her traditional styling is perfectly paired with clean and modern fixtures and fittings, including refurbished woods and all new brightwork. 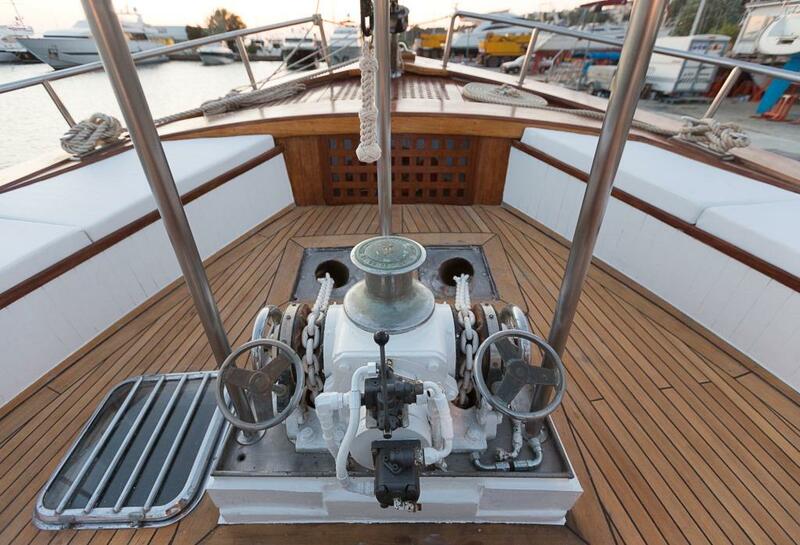 Twin Cummins engines power the yacht with cruising speeds of 10 knots and top speeds of 13 knots. 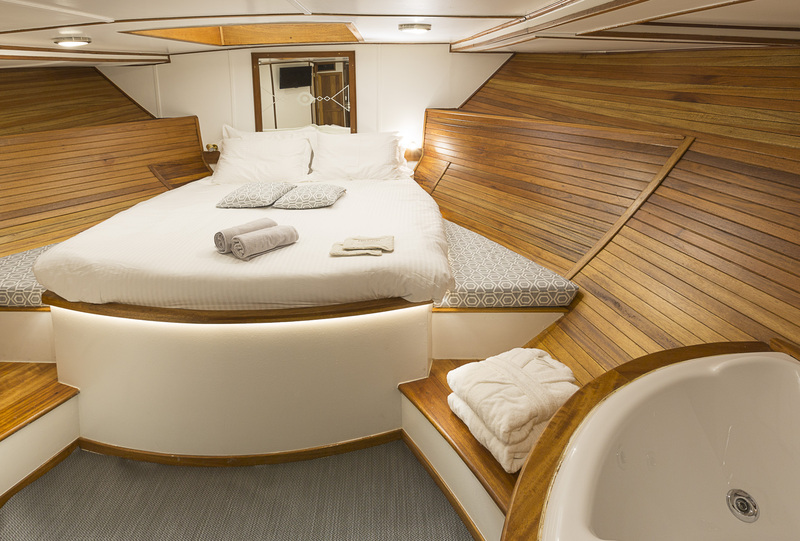 Accommodation aboard is in 1 master stateroom with a jacuzzi tub, 1 VIP cabin, one double and one twin cabin, all of which are en-suite. 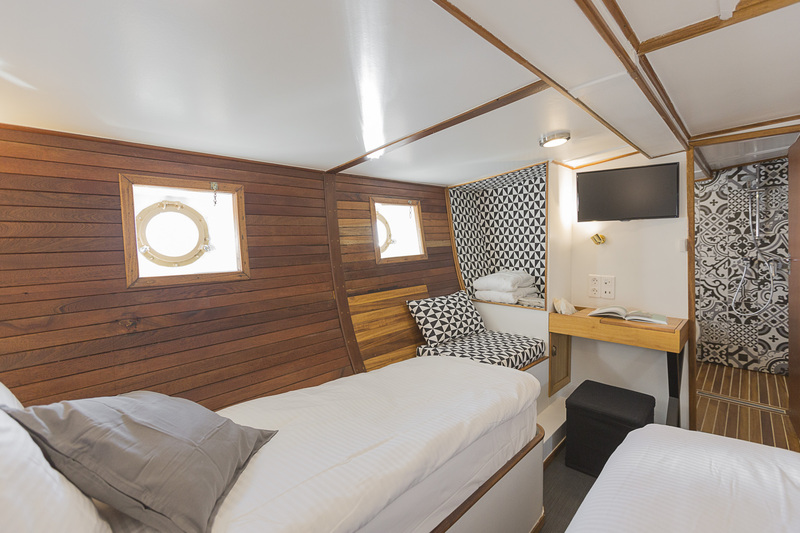 Each cabin has individual air-conditioning controls. 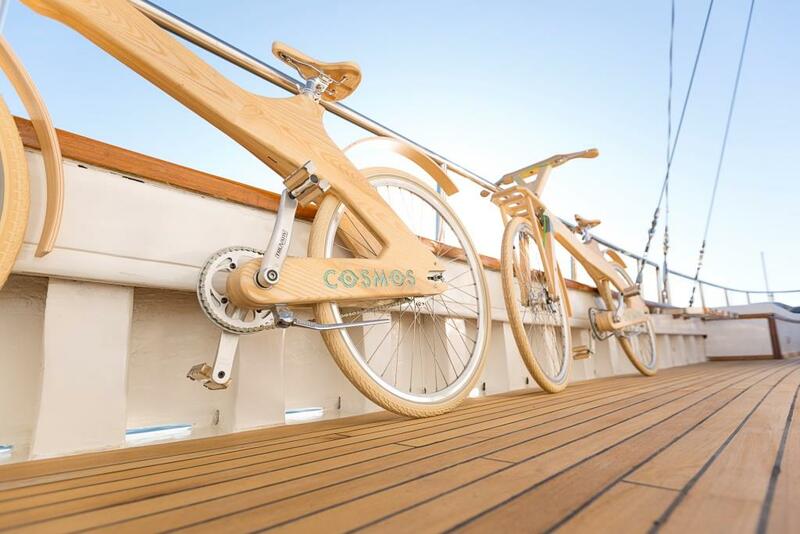 COSMOS motor sailer has the following Tenders & Toys: Tender 4.5 m. with 50 HP outboard motor fit for water sports Full set of snorkeling equipment and fishing gear COCO-MAT wooden bicycles PERCEPTION Sea kayak 3.65 m. (on request) Windsurf (on request) Scuba equipment with air Compressor (on request) All cabins with full A/C with separate controls, deluxe en suite facilities, COCO-MAT mattresses (100% natural), Wi-Fi, individually controlled TV and external slots for HDMI,USB, Line-in, DVD, Bluetooth.